Please enter your personalization details here. Like your custom text, initials, alignnment etc. 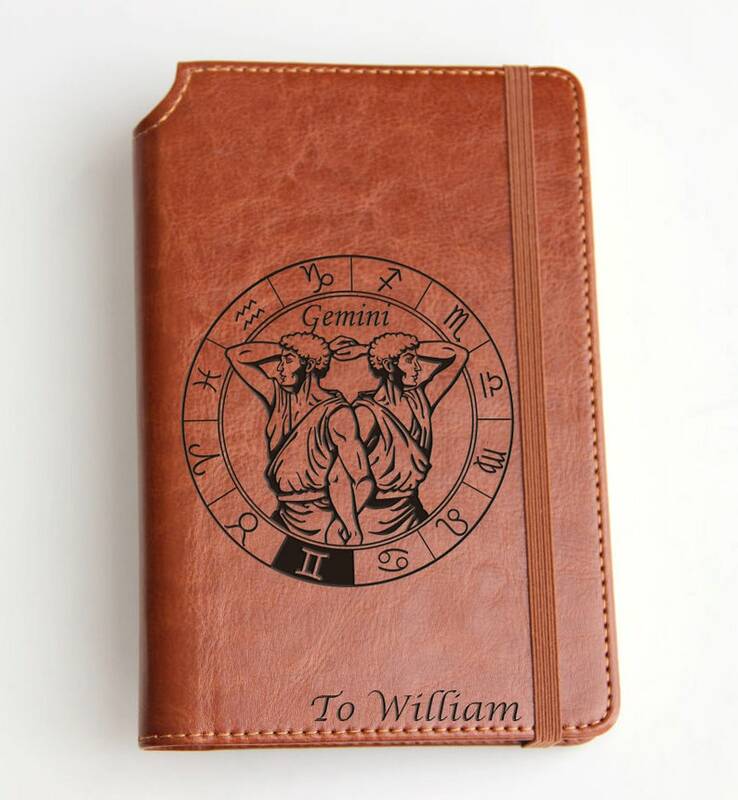 This is a laser engraved (etched) journal. For yourself and for the people you care. It can be a nice gift on birthdays. The one you see on the picture is brown. Other colors also available(gray, red, navy and black). Made with high quality thermo leather. Includes 192 ruled pages of cream colored, acid-free paper (96 sheets). Perfect size to carry with you in your pocket or in your bag on trips, vacations, or daily travels. Pages work great for both writing and sketches. Please NOTE once more: This journal is ruled. Yes please tell me how you would like it. Quantity & Price: The price is only for one notebook. This great piece of art is combined with a Journal which can also be used as a notebook and diary. The paper used in the Journal is top quality Persian Paper which is used in precious books and can be used for both sketching and writing. Please convo or e-mail me if you have any questions. The journal was beautiful and just as pictured!! Thank you! !